The Oslo Accords were signed on 13 September 1993 between the Palestine Liberation Organization and Israel. 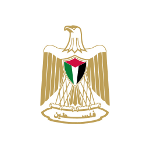 The Palestinian Authority was formally created by the Palestine Central Council, itself acting on behalf of the Palestine National Council of the Palestine Liberation Organization, and was made accountable to the PLO Executive Committee in a meeting convened in Tunis from 10-11 October 1993. This was an interim organization created to administer a limited form of Palestinian self-governance in the Palestinian territories for a period of five years during which final-status negotiations would take place. General elections were held for its first legislative body, the Palestinian Legislative Council, on 20 January 1996. The expiration of the body's term was 4 May 1999, but elections were not held because of the "the prevailing coercive situation". Since the beginning of the Second Intifada, the Palestinian Authority (PA) has been undermined both in the Palestinian occupied territories (Gaza strip and West Bank) and abroad. Ariel Sharon and the George W. Bush administration refused to negotiate with Yasser Arafat, leader of the Palestine Liberation Organization (PLO) and former president of the PA, whom they asserted formed "part of the problem" (concerning the Israeli-Palestinian conflict) and not of its solution — this despite Arafat's signature of the 1993 Oslo Accords. In January 2006, Hamas won the legislative elections, and thus replaced Arafat's Fatah as leading party of the Palestinian people. Israel has accused the Palestinian Authority of ignoring and covertly sponsoring the violence against Israelis. This view has been officially accepted by the United States in summer 2002, which decided then to halt most sorts of negotiations with the current Palestinian authority, pending a fundamental organizational change. The US Council on Foreign Relations think tank has declared the Palestinian Authority under Arafat a haven for terrorism. During the Intifada, Israel has often targeted Palestinian Authority personnel and resources. In particular, many of the people arrested, assassinated or killed in action because of their alleged terrorist activities, were employees of the Palestinian Authority's security forces or militias. In Operation Defensive Shield Israel has captured documents that allegedly prove that the Palestinian Authority officially sponsors "terrorist activities", which are carried out by its personnel as "shadow jobs". For instance, Israel arrested and convicted Marwan Barghouti, a prominent leader of Fatah, for his role as leader of the Al-Aqsa Martyrs' Brigades. Barghouti maintains his innocence, and rejects the impartiality of the Israeli courts. Israel has also targeted Palestinian Authority infrastructure; in particular it has closed parts of the Palestinian sea and air ports, which Israel alleges have been used to transport terrorists and their equipment. Israel's incursions during the Intifada also led to damage to some of the Palestinian computer infrastructure, though it was not deliberate. These moves were criticized by the Palestinians, who claim that the Palestinian Authority is nearing collapse, and is no longer able to carry out its internal and external obligations. This is because these repeated degradations of PA resources and infrastructure have led to complaints by the PA and some of its European Union funders that Israel is deliberately hobbling the PA to restrict its powers of law enforcement in order to present an image of terrorism and lawlessness in the Palestinian Territories. On 7 July 2004, the Quartet of Middle East mediators informed Ahmed Qurei, Prime Minister of the PA from 2003 to 2006, that they were "sick and tired" of the Palestinians failure to carry out promised reforms: "If security reforms are not done, there will be no (more) international support and no funding from the international community"
In order for there to be a Palestinian state, it is essential for its leaders to be open to reform and be dedicated to their people. The problem of the Palestinians is a territorial one – they have no state and they have no leaders. Palestinians that want change need to demand that a security force be established. The real problem is that there is no leadership that is able to say 'help us establish a state and we will fight terror and answer the needs of the Palestinians'. Following Arafat's death on 11 November 2004, Rawhi Fattuh, leader of the Palestinian Legislative Council became Acting President of the Palestinian Authority as provided for in Article 54(2) of the Authority's Basic Law. If the office of the President of the National Authority becomes vacant due to any of the above cases, the Speaker of the Palestinian Legislative Council shall assume the powers and duties of the Presidency of the National Authority, temporarily for a period not exceeding (60) sixty days, during which free and direct elections to choose a new president shall take place in accordance with the Palestinian Elections Law. The Palestinian Authority became responsible for civil administration in some rural areas, as well as security in the major cities of the West Bank and the Gaza Strip. Although the five-year interim period expired in 1999, the final status agreement has yet to be concluded despite attempts such as the Camp David 2000 Summit, the Taba summit, and the unofficial Geneva Accords. In August 2005, Israeli Prime minister Ariel Sharon began his unilateral disengagement plan from Gaza strip, ceding full effective internal control of the Strip to the Palestinian Authority but retained control of its borders including air and sea (except for the Egyptian border).. This increased the percentage of land in the Gaza strip nominally governed by the PNA from 60 percent to 100 percent. Palestinian legislative elections took place on 25 January 2006. Hamas was victorious and Ismail Haniyeh was nominated as Prime Minister on 16 February 2006 and sworn in on 29 March 2006. However, when a Hamas-led government was formed, Israel, the United States, Canada, and the European Union froze all funds to the Palestinian Authority, after Hamas refused to recognize Israel's right to exist, renounce violence, and agree to past agreements. These countries view Hamas as a terrorist organization. In an attempt to resolve the financial and diplomatic impasse, the Hamas-led government together with Fatah Chairman Mahmoud Abbas agreed to form a unity government. Haniyeh resigned on 15 February 2007 as part of the agreement. The unity government was finally formed on 18 March 2007 under Prime Minister Ismail Haniyeh and consisted of members from Hamas, Fatah and other parties and independents. After the takeover in Gaza by Hamas on 14 June 2007, Palestinian Authority Chairman Abbas dismissed the government and on 15 June 2007 appointed Salam Fayad Prime Minister to form a new government. Though the new government's authority is claimed to extend to all Palestinian territories, in effect it is limited to the Palestinian Authority controlled areas of the West Bank. The Fayyad government has won widespread international support. Egypt, Jordan, and Saudi Arabia said in late June 2007 that the West Bank-based Cabinet formed by Fayad was the sole legitimate Palestinian government, and Egypt moved its embassy from Gaza to the West Bank. Hamas, which has effective control of the Gaza Strip, faces international diplomatic and economic isolation. A six-month truce between Hamas and Israel ended on 19 December 2008. Hamas claimed that Israel broke the truce on 4 November 2008, and that Israel had failed to lift the Gaza Strip blockade, and Israel blamed Hamas for the rocket fire directed at southern Israeli towns and cities. The 2008–2009 Israel–Gaza conflict began on 27 December 2008 (11:30 a.m. local time; 9:30 a.m. UTC) when the Israel Defense Forces launched a military campaign codenamed Operation Cast Lead (Hebrew: מבצע עופרת יצוקה‎, Mivtza Oferet Yetzuka) in response to rocket fire from the area, targeting the members and infrastructure of Gaza's governing party, Hamas.